A leading diabetes online forum has won a prize at the “Oscars of great British business” award ceremony for its low carb program. 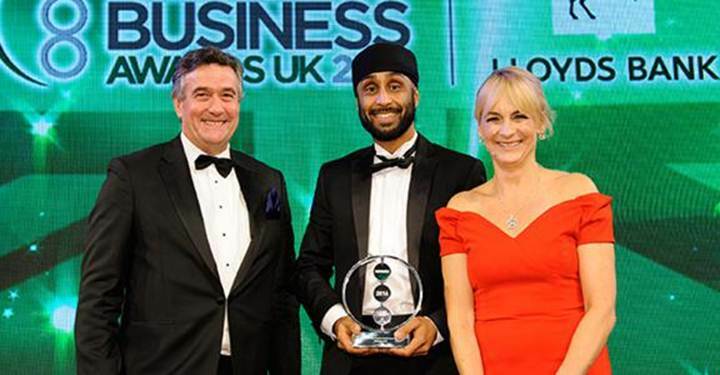 Diabetes.co.uk, which is Europe’s largest community website for people with diabetes, was recognised at the Lloyds Bank National Business Awards. The ceremony is the flagship awards programme that recognises and rewards excellence across all sectors in the UK. It has previously been described as the “Oscars of great British business” by former Prime Minister David Cameron. The prize was awarded for the forum’s low-carb education course, which has seen more than 125,000 people sign up to the programme since it was launched. The Lifestyle Program provides a large variety of recipes which are high in protein and low in starchy food, along with good saturated fats like olive and nuts. Diabetes.co.uk helps raise awareness of type 1 and type 1 diabetes as well as providing digital health interventions that are affecting health outcomes for the worldwide diabetes community. It has become a valuable platform for people to support, talk, and share stories about their experiences with diabetes. It currently has over 475,000 members and three million visitors to the website each month. The website scooped the Lloyds Bank Positive Social Impact Award and the judges said: “We were highly impressed by the sustained and effective positive social impact of Diabetes.co.uk. “They evidenced clear and growing social impact in one of the most important health and social issues of our day. Any company within the UK, whether public, private or third sector can enter, regardless of size or industry. The Awards have 18 categories which are suited for any successful organisation to tell their story. The prizes were handed out an awards ceremony in London, which was presented by BBC Breakfast’s Louise Minchin. Diabetes.co.uk’s chief executive officer Arjun Panesar said: “Wow, what an achievement this is! It’s fantastic for the team to be recognised for the contribution Diabetes.co.uk is making towards improving health – not only for people with diabetes but the greater healthcare spectrum.